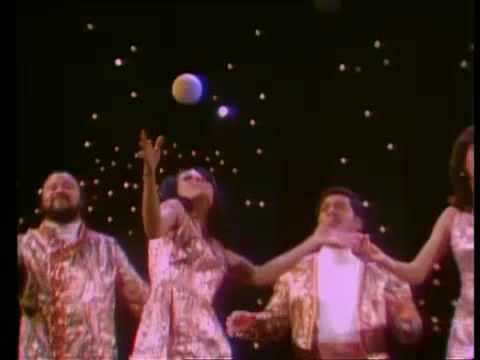 The year 1969 began with the Fifth Dimension’s recording of “The Age of Aquarius“rising quickly to No. 1 on the charts. It was a time of War – with a younger generation shouting for peace. It was a time filled with magical moments. A summer that included Neil Armstrong walking on the moon, and 26 days later 400,000 people walking onto a farm in New York for “3 Days of Peace and Music” that is remembered simply as Woodstock. The Second night coincides with the Opening of Woodstock 50 years ago. It is a Rock Gala, a dinner and a musical stage production, a Woodstock Tribute Band, an audience in bell bottoms and tie-dyed shirts. It’s an evening of music and dancing, dining and remembering. This Spectacular event aligns Rock n’ Roll History, with a moonwalk, youthful memories, and a No. 1 Hit Song. The Age of Aquarius . . ..
Should you have actually attended the 1969 Woodstock Event, we want to publish your memories in an anniversary booklet to be placed on the dinner table. Please keep it to 500 words and submit to us 60 days in advance. Each contributor will be recognized at the event and awarded a special “Peace & Love” necklace. 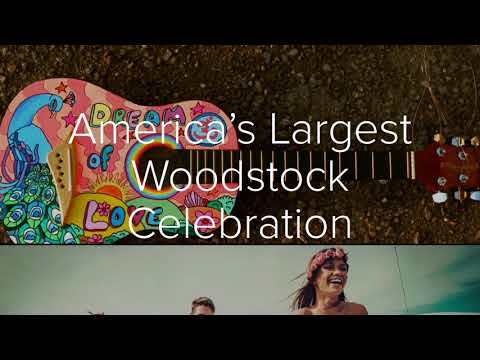 Pull out those Tie-Dyed Shirts and Bell Bottoms, put flowers in your hair, grab your Love beads and join us in Cleveland as we kick off the Woodstock 50th Anniversary weekend. Dinner is on your own this evening after hotel check-in. Tonight, the doors of the Rock and Roll Hall of Fame open at 7:00 pm for an exclusive four hours among the exhibits. It’s been said that visiting the Rock & Roll Hall of Fame is like peeking into your favorite musician’s closet. The Hall’s permanent collection contains thousands of one-of-a-kind items ranging from musical instruments and song lyrics to quirky stage props and colorful costumes. The ever-changing exhibits here feature such topics as The Roots of Rock & Roll, Cities & Sounds, and The British Invasion. We fully expect the Rock Hall will have a major exhibit on what is one of the greatest happenings and, perhaps the most pivotal moment in music history – Woodstock. You will also find exhibits with film & video, interactive kiosks, reading material and, of course, plenty of music. We have hired many extra docents this evening to help as you enjoy Rock History. There will be cash bars should you want to rest a moment with a cocktail, hors d’oeurves and desserts. After breakfast, the morning is at your leisure or you may choose to take an optional sightseeing tours. This afternoon you’ll enjoy Lunch with the Queen, that is The Nautica Queen’s Luncheon Cruise, a unique adventure combining the best of dining and sightseeing in Cleveland. There’s a lavish buffet and musical entertainment while cruising under historic bridges and along the lake and riverfront. The Second night’s event coincide with the Opening of Woodstock 50 years ago, a Rock Gala at the famous Cleveland Auditorium, a dinner dance and musical stage production. A Woodstock Tribute Band, audience in bell bottoms and tie-died shirts. An evening of music, dancing, dining, remembering. We encourage everyone to dress for the event. Once you cross the doorway it is again the year 1969, cast away those conservative clothes and thoughts that came with maturity and enjoy the memories of your youth, celebrate “Peace & Music,” Rock on! Time to go home, after a leisurely breakfast, reminiscing what the last two days meant to you…….